Everyone wants a great deal when they go on vacation, and that is certainly the case at the Walt Disney World Resort. One of the best deals can be found in this quiet looking Barber Shop tucked away in a corner on Main St. in the Magic Kingdom. 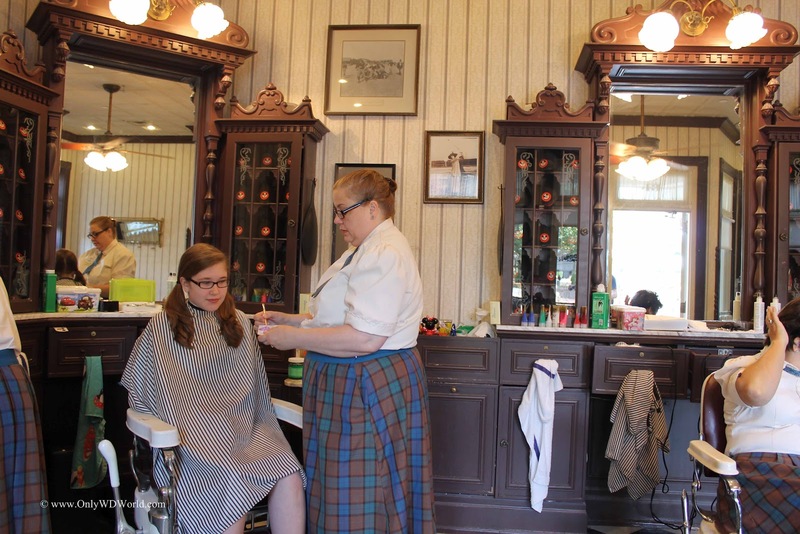 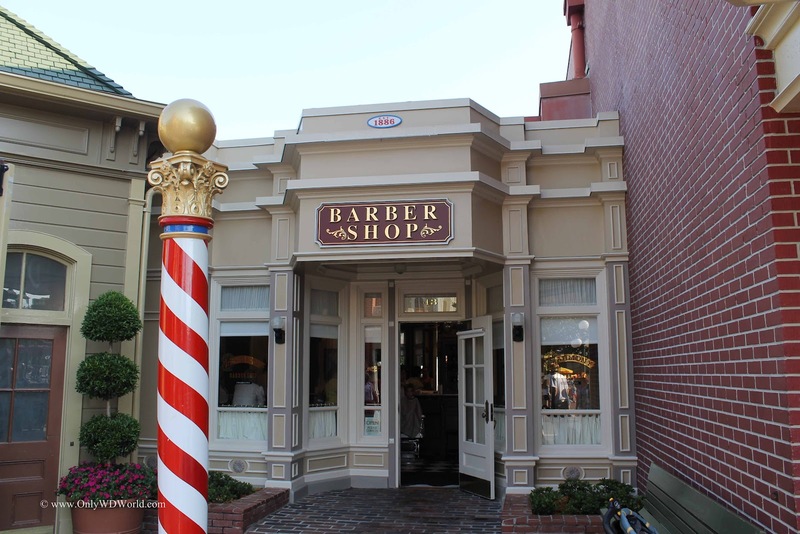 The Harmony Barber Shop is a real functioning barber shop located within the Magic Kingdom. They are best known for providing 1st haircuts along with a special set of 1st Haircut Mickey Ears and a certificate, but they also do regular hair cuts all at reasonable rates. 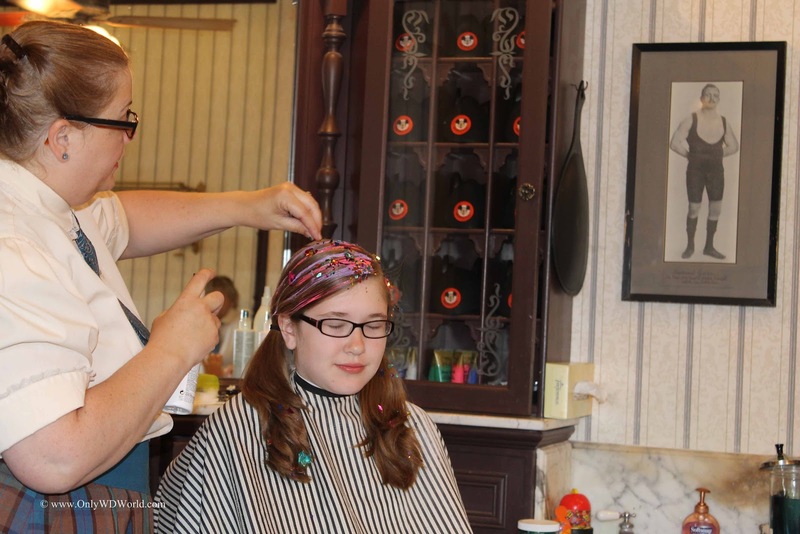 The best deal at the Harmony Barber Shop has nothing to do with hair cutting at all. 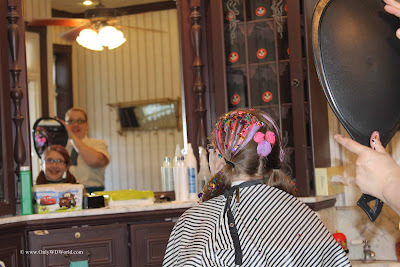 For only $7.50 Disney World Guests young or old can have colored hair gel applied to their hair, including the famous "Hidden Mickey" design and Tinker Bell "Pixie Dust" glitter. Watch the transformation take place in the series of pictures below. 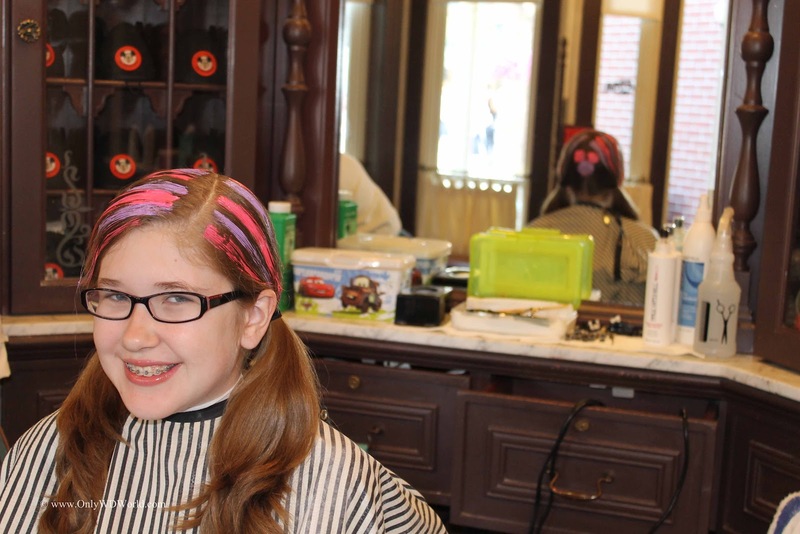 The talented Disney Cast member does an excellent job creating the look that the guest wants, including customizing the colors. The final look is great and expect to receive complements and questions about where you got it done. 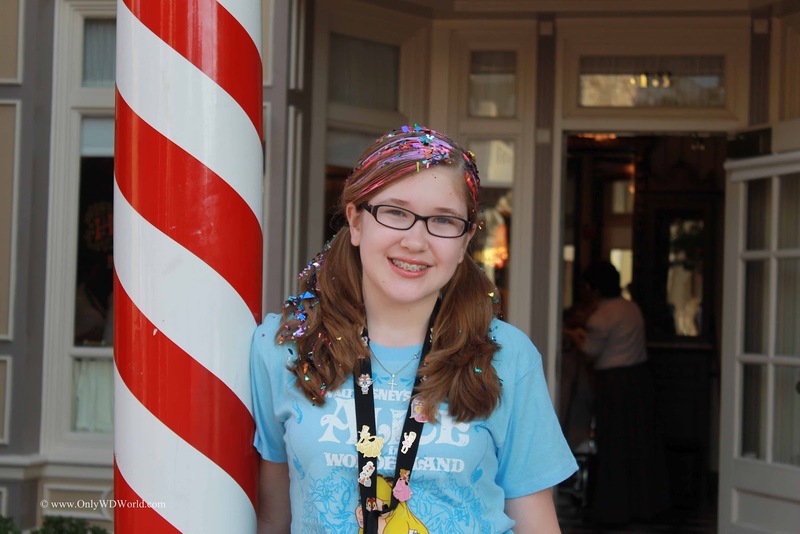 If you are careful it can last up to 3 days if you can refrain from visiting those temping Disney World swimming pools. If you are planning a special surprise for your family on your Disney World Vacation take them to the Harmony Barber Shop to get the special Hair Gel and Glitter treatment. 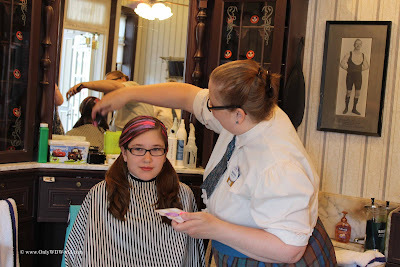 You can't beat the low cost on this great Magic Kingdom Activity. 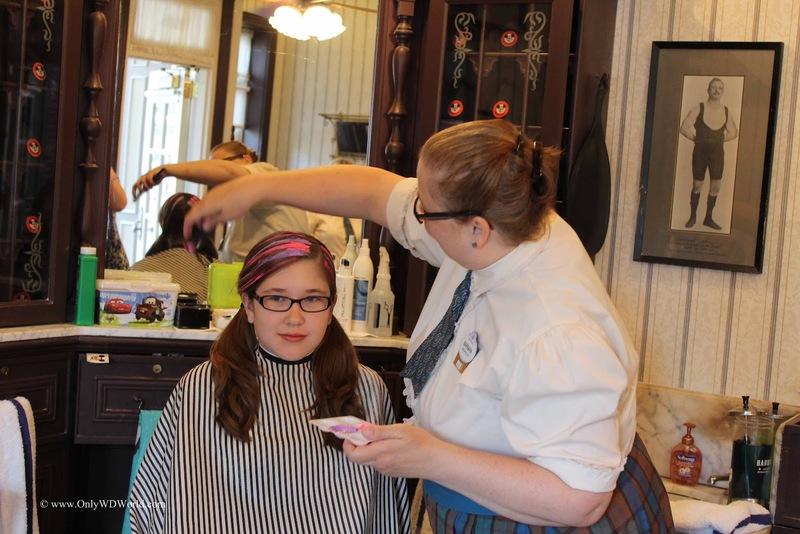 They take walk ups so reservations are not required. The results are amazing and you will be so glad you took our advice. 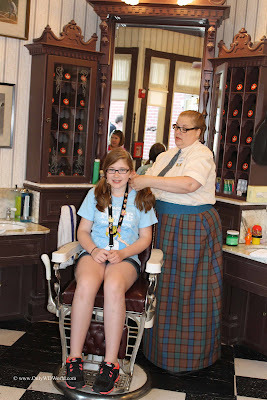 0 comments to "Top Disney World Deal At The Harmony Barber Shop"